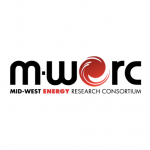 [Milwaukee, Wis.] – The Midwest Energy Research Consortium (M-WERC) hosted their open member meeting Tuesday, December 13, 2016 at Discovery World’s Pilot house. M-WERC welcomed over 200 members and guests to yesterday’s event. The discussions of two panels focused on Smart Cities Technologies and will result in a Smart Cities action plan to further the adoption and growth of these technologies. Lisa A. Brown, Johnson Controls Inc. Following the panel discussions, M-WERC hosted their holiday event, where attendees were encouraged to visit exhibitors, including M-WERC tables and the Smart Cities Working Group. For more information on M-WERC visit m-werc.org or follow on Twitter at @MWERC.